It started early for me. When my Dad came home from a Tigers/Yankees game, he brought me a small cap with the iconic NY on the front. I was about four and the Yankees had just become my team. As a Yankees fan in the early ’60’s, I was on the verge of uncharted territory. Starting in 1965 until 1976, the Yankees were not very good. My first baseball hero, Mickey Mantle, was in rapid decline as was the rest of the roster. In 1966, my family moved to a new house just on the city limits. We were in suburbia. The new friends I made were all fans of the Chicago Cubs. I remained a Yankees fan but since they were in the American League, I saw no harm in finding out more about these National League Cubs. Besides the Yanks stunk on ice and the Cubs were an exciting young team who were making some noise by winning more than they lost. Then came the summer of ’69. This is when I experienced the heartbreak that has haunted Cubs fans throughout their existence . They blew an fairly large lead in the standings to the Mets. It was a slow motion meltdown as excruciating to watch as it is to write about it all these years later. My new friends, when the next season started, had reemerged as Cincinnati Reds fans. I stayed loyal to the Cubs. Who could root for a team that played on AstroTurf”? The Reds went on to become The Big Red Machine, winning World Series titles, while the Cubs went fallow until 1984. I did have the chance to visit Wrigley Field in June of 1978. I was on the verge of working for the Postal Service and wanted to take a quick vacation before joining their ranks. When I came up a flight of steps and looked out over the field from behind home plate, the first thought I had was, “I’ve never seen this color of green before.” The sun was shining. The ivy on the brick wall in the outfield was just starting to fill in. It was and is a rundown building but I will never forget how beautiful that field looked. A couple of years later, in the Bronx, my beloved Yankees were showing signs of life. In the mid-’70’s, a shipbuilder had purchased the team and set about trying to restore the franchise to its former glory. My new Yankee hero was Thurman Munson. He seemed to come out for the National Anthem in a dirty uniform. Scrappy. Never gave an inch. Ran the bases real well for a catcher. When the Yankees got to the World Series, they faced my friends Reds. It was a four game sweep for the hated Reds. But Munson had a series to remember. He matched Johnny Bench, the Reds catcher, hit for hit. The following two seasons as the Reds fell apart, the Yankees restored order in the baseball world by winning the World Series beating the Dodgers twice. There have been several books written about the Yankees of those times. They were full of turmoil. They fought other teams (notably the Red Sox) and each other. In the early ’80’s, the Cubs were rebuilding again. This time, however, it was working. 1984 was a magical season. Thrilling victories. Harry Carey on the microphone doing the tv broadcasts. Then when they reached the playoffs, Cubs luck happened. Up two games to one, they lost the last two games of the series. Crushing. Devastating. Typical. In April of 1992, I watched opening day of the Cubs season with my 5 month old son in my lap. As he got older, thanks to the same man who started my life as a baseball fan, he became a Yankees fan. He would sit with his Grandpa and watch the Yanks. If a game wasn’t on, they would go over what the Yanks needed to do. They got the chance to share some extraordinary seasons together as the Yanks put on a run not seen since the old Casey Stengel times. Bonding over baseball. I can picture them now. These days, I don’t watch as much baseball. The games last way too long. It is the players fault for that. Stepping in and out of the batters box. Fidgeting and adjusting. Pitchers who only have two kinds of pitches go through a whole series of signs only to have the catcher meander out for another in an unending series of conferences. They have so many playoff games now that every once in a while they have to play during the day. When I was a kid, all the World Series games were played during the day. We would sneak in transistor radios with earpieces at school and the teachers would pretend to not notice them. It’s the first opening day Dad has missed in 86 years. So, I might look in on the Yanks for him. Maybe take a peek at the Cubs while I am at it. Well, Indiana has a new law on the books. It is now legal for a gun owner to drive onto any school property with his or her gun in the car. It is supposed to be kept out of sight. That is the only restriction. The Second Amendment has been invoked and we all know there is no going up against that. The thought that having guns in the parking lot might be a little too handy for a bad guy or an upset student were shrugged off. After all, they won’t be in plain sight. I remain a little skeptical. I have had cars broken into where nothing of value was showing. People checked the glove box, the console between the seats. You can gain access to most trunks from removing the back of the back seat. So these guns are not really going to be difficult to get to. Actually, I am highly skeptical that there is any good that will come out of this new law. I will give the NRA credit for one thing. The money they spend buying politicians has had a good return for their investment. HOW MANY MORE CHILDREN WILL BE GUNNED DOWN BEFORE SOMEONE STANDS UP TO THE NRA AND THE GUN MANUFACTURERS? I am not going to stop writing about this. I just wish I could do more. 91 is a long time to live. So,Sid Caesar did well as far as longevity goes. His prime as an comedian was from 1950 to 1957. He starred in Your Show of Shows for four years followed by Caesar’s Hour. The writers who worked on those shows went on to large fame after their time with Sid. Larry Gelbart who worked on the second show wrote M*A*S*H* the tv series, Tootsie, A Funny Thing Happened On The Way To The Forum, just to name a few. Neil Simon wrote several plays: The Odd Couple, Barefoot In The Park, Brighton Beach Memoirs and many more. Mel Brooks…..well, everyone knows what Mel has done. Aaron Ruben produced The Andy Griffith Show, Gomer Pyle U.S.M.C., and Sanford and Son. I should also mention Lucille Kallen. She was a pioneer. Writers rooms were and to some extent still are male-dominated. Lucille held her own in that fast company for the whole 139 episode run of Your Show Of Shows. If you watch My Favorite Year, the character played brilliantly by Anne DeSalvo, is based on Lucille Kallen. Here are a couple of clips from a special where the writers reunite with Sid for a two-hour special. The first one sums up Sid’s responsibilities as the star of the show. What I would like you to notice is how much laughter there is in the two small clips. Sid had great writers. He also had an outstanding cast: Imogene Coca, Howard Morris, and Carl Reiner. With that nucleus, they made television history. Your Show Of Shows was performed live. Every episode was 90 minutes long and they did 39 shows each year. As a contrast, Saturday Night Live does 22 shows a year. AND, Sid’s shows never used cue cards. Unfortunately, after those shows went off, Sid never found a comparable spot for his talents. He would show up in this or that show but nothing came close to what he had in those seven glorious years. As we see the remembrances from people who worked in and had their own success on television, the overwhelming consensus is that Sid Caesar was the best comedian television has ever had. You will get no argument here. Thanks for the chance to do this. You don’t do many of these, do you? I like to preserve some mystery, also nobody has asked me. Let’s go back to the beginning of this blog. Why did you decide to start one? Well….I had been on Twitter for about a year and some of the people I spent most of my time talking to had blogs of their own. I was commenting on those and it seemed like a natural progression to try my hand at one. It has taken you two years to come up with 100 posts. You aren’t very prolific. Is there a question in that? Why don’t you write more? First off, I am glad you call them posts and not blogs. I hate when people get the terms mixed up. “I blogged today” No you didn’t you wrote a post for your blog. Why don’t I write more? I don’t know if there is a good reason. I like writing. Like most writers, I would appreciate having a larger audience. To get that though, I would have to write more. Or write better. I don’t know. I mean, I have never opened the Add New Post page and come up empty. The things I couldn’t wait to write about I have already covered. Does that answer your question? Yep. You could write about current events. I think Twitter has sort of condensed my thinking to the point that I can cover a subject in 140 characters. That would make for a weak blog entry. I think people are busy. A lot of folks that I follow are writers themselves. I’m not sure if all writers love reading other peoples stuff. I do, but I think I am in the minority in this regard. True…..there again you can paint yourself into a corner. I wrote a series about the first year my wife and I were together. Last March and April. A five part series called Finding Love. I was proud of that. I have written about my parents and dealing with their deaths. I found that sort of writing very cathartic and those were well-received. I don’t write much about the kids. Maybe I will do more with my grandson. Doing well, thanks. Almost three years old. He knows enough words to give off a little attitude. The other day I made the mistake of calling his Mom’s IPad an IPod. He corrected me and I think gave me a little sideeye/eyeroll. Did you watch the Beatles specials? That music is in your age group. Yeah. I was 7 and a half when they appeared on the Sullivan show. I don’t remember watching it. Although I am sure we did. We watched Ed Sullivan every Sunday night. I was struck by how they came to be musically. The music that was the biggest influence on them and all the young British musicians wasn’t very old. Bill Haley. Chuck Berry. Buddy Holly. The Everly Brothers. Carl Perkins. That music was only a few years old. The British Invasion bands heard and loved those songs. As Dave Clark said on the CNN special, they absorbed the music and showed the world how music should evolve from those wonderful roots. The Sunday night special was a real treat. I watched it with my wife who let it be known that In My Life was just about the perfect love song. I wonder what Paul would have said if you told him right before the show that in twelve years he would be on the biggest tour of America and in a totally different band. Wings Over America was huge in 1976. What does the future hold for your blog? Hard to say. I wrote about guns and nothing substantial happened. Kids are still being shot at an alarming rate. It’s hard to write when the effort seems futile. That is sort of what the gun lobby hopes for. They would like people to remain silent. I wrote about politics and with the mid-terms coming up I might start focusing on that again. I have some half finished books I would like to write reviews about if I ever get done reading them. Time. I need uninterrupted stretches of time to read and write. Most of these take anywhere from one to two hours of writing time. And with books, I find my ability to retain what I am reading isn’t what it used to be. So I can’t just pick up where I left off. I have to go back and remind myself of where I am in the story. Thanks for your time. I hope this wasn’t too painful. I couldn’t have asked better questions myself. And to all of you who have visited me over these last 100 posts, Thanks. Finally after 10 inches of snow followed by subzero temperatures, we here in Indiana have received a break. It is a balmy 22 degrees as I write this. We suffered no power outages. No stranded or stuck cars. No frostbite. How did we pass the time you ask? Since we had some advance warning, there were several options available. Of course, we loaded up on food. The other trip we made was to the home improvement store. What better time to work on projects? You can’t go out. We chose to replace two toilets and repaint the bathrooms while we were at it. We also binge-watched The Good Wife. I’m not sure if I like the description binge-watched, but that is what we did. The people who are in charge of casting for that show are incredible. Also the writing staff is amazing. When you watch them back-to-back you get a real feel for how the stories flow. This is a short post. Number 99 in the series. The next one will be something I thought up while white-knuckling my way around Indy this morning on the icy,snowy roads. Oh, the suspense. I hope it works out. Let’s just get this out of the way before you are bombarded with hundreds of these posts. Christmas in our house is kind of a mixed bag this year. Our son is living in Virginia with his girlfriend so for the first time in his and our lives he won’t be with us on Christmas morning. That is sad. We are going to visit him over the following weekend so our sadness will be temporary. The fun part of the day will be watching our grandson open presents. He is two and a half so he will be experiencing the joy of opening presents for the first time. He was too young to get what was going on last year. I wish you all well this holiday season. Health, happiness all that stuff. Here is a song for you all. You have to admit the kids in this are unrelentingly cute. The news appeared in front of me on Twitter. Peter O’Toole had passed away. He never won an Oscar. I thought that odd, so I looked at who he lost to. It is quite a formidable group of actors. When he was nominated for Lawrence of Arabia, he lost to Gregory Peck- To Kill A Mockingbird. They lost to Rex Harrison-My Fair Lady. Four years later, The Lion In Winter. He lost to Cliff Robertson-Charly. The following year, Goodbye Mr. Chips. That year, John Wayne won for True Grit. Eight years passed before he was nominated again. This time for The Stunt Man. He lost to Robert DeNiro-Raging Bull. Two years later, My Favorite Year. He lost to Ben Kingsley-Gandhi. Twenty four years later he was nominated for his role in Venus. He lost to Forest Whitaker-The Last King Of Scotland. He was in some heady company during those years. Most of those losses were understandable. Who could argue against Brando, for example? Wayne won what was considered a lifetime achievement award. Just unfortunate timing on Mr. O’Toole’s part. If you want to fully appreciate his range as an actor you really need to watch just one of his films. He really nails his part of an aging actor forced by finances to try his hand at live television in the Fifties on a show loosely based on Your Show Of Shows. The film, directed by Richard Benjamin, is a loving look at a week in the life of putting on a variety show. We see the writers room, full of angst, anger, and humor. One of those writers has the task of babysitting this week’s guest, Alan Swann played by O’Toole. Swann is a drunk, broke womanizer. His time on the big screen has run its course. As the week unfolds, he finds some happiness with the people who put the show on. As a favor to his young handler, he visits the young man’s parents for a memorable meal. The day of the show, he is informed it is live. A meltdown ensues. Finally he gets to put his swashbuckling moves to a real life use in a wonderful finale. As he accepts the audiences standing ovation, you see a wistful look on his face. O’Toole brings everything he has learned as an actor to this performance. The wonderful supporting cast carries him through to the end of the film. Your assignment is to find this wonderful movie, grab your favorite beverage and enjoy a tour-de-force by Peter O’Toole. I was going to pass on talking anymore about the 50th anniversary of the assassination. As things have progressed over the last week, I felt it was necessary to give my views on this occasion. All week long, that quote has stuck in the back of my mind. He was certainly old enough to remember WWII, concentration camps, Stalin’s reign of terror both before and after WWII, the 100 year struggle of blacks to get basic rights. the list goes on and on. How can you use that word given all that had went on before? Now, if you were a 7 year old in second grade at Sacred Heart Catholic School, you could be considered an innocent. That day, after lunch, the teacher answered a knock on the classroom door. After a brief exchange, she returned to her seat behind the desk. Then, over the intercom, we heard a radio broadcast which was saying the President had been shot. As the reports trickled in, there was some hope. That seems absurd now but after a few more updates, the unthinkable had come true. I really don’t remember much else from that weekend. I know the television was on all weekend. The alleged assassin was caught and then killed. Watching the documentary Four Days In November last night was a sobering reminder of how the entire nation gathered to grieve. It wouldn’t be the last time. Yet there was something different about this. Just the list of world leaders that showed up let you know how much impact this killing had on the world. 220 foreign dignitaries from 92 nations attended. In 1974, as a high school senior, I wrote a paper for a government class. I lost it somewhere years ago. (I got an A on it. I know you were curious.) The theme was about whether or not Pres. Kennedy was a great president. I used a quote from Emerson (I am sure it was him but I can’t find it online.) to conclude my essay. This is a way of thinking favored by historians. I am not sure if things are as settled with the memories of the Kennedy administration even 50 years later. Harry Truman wasn’t held in high regard for a number of years after his time in office ended. Now it’s different. You could argue that most of the achievements the Johnson administration called the Great Society were started by Pres, Kennedy. Medicare, Voting Rights,Civil Rights, just to name three, were passed into law by Congress thanks to the arm-twisting of the Johnson administration. There was one very bold promise made at the start about sending a man to the moon and bringing him safely back within a decade. May 25, 1961 that challenge was laid down by the President. With all the turmoil of the Sixties, through other killings, including his own brother four and a half years later,as Vietnam escalated and revolt on the streets of our country became a way of life, every so often we would all stop and look into space to see the progress that was made on his promise. July 21, 1969, it came true. This is where the people who loved President Kennedy can be found. That sort of hope, confidence, can-do spirit. Young people coming of age during those early days of the Kennedy years knew from their own parents experience that anything was possible. Their parents had survived the Great Depression and WWII. Amid all the chaos, there was still a fountain of optimism. In a cold November 1963, happiness on a national level seemed to be an emotion that would be difficult to achieve for many. As we all know, life goes on. And it did. We will talk about that on the next 50th anniversary remembrance in February. Here is a five word hint. I can’t believe that no new entries were posted here. The odd thing is people are still looking around the old stories. I see you folks. Thanks for taking the time. If you could do a little light dusting next time, I would appreciate it. Last October I wrote five posts but it was an election year. There was a lot to write about. This year, when I feel it is time to write something/anything , I just can’t get moving. I have a few ideas that can be covered in a tweet, so Twitter gets most of my attention. That may be the curse of Twitter. I have become so concise in framing my thoughts this blog seems like overkill. OR, my mind is going. You decide. How am I supposed to know if that is happening? I was going to write about my son moving out of the house to start his adult life. I know that is part of life. The natural progression. But his Mom and I just invested 21 years making sure he was well loved and well fed. To watch him drive off was brutal. I guess I could complain about the Christmas stuff going up early. Nah. I don’t really get bothered by that anymore. Just as long as they don’t start playing the music yet. I could write about the Affordable Care Act. They have had some problems with their website. Remember when nobody bought Windows operating systems anymore after all the trouble with Windows ’98? Wait, I think I got that wrong. They just made adjustments and carried on. Like the ACA website will. By the way, if you have been paying for health insurance that doesn’t cover your meds or hospital stays, you should be happy to have the chance to sign up no matter how long it takes. Thanks to that Act, my son, who I miss terribly, is covered by our insurance until he is 26. That is a huge thing for parents all over the country. This month is the 50th anniversary of the Kennedy assassination. As I write this I am avoiding Rob Lowe playing him in Killing Kennedy. I doubt that Rob Lowe would have changed his mind. 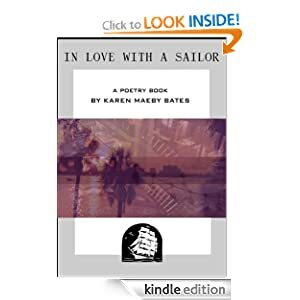 A friend of mine has written a book of poetry. You can see the cover below. If you get a chance, go to Amazon and check it out. Actually, buying it would be good. It is available in all the usual formats. Reasonably priced. Very well written. Need I add to that? I guess I should or this would be an awfully short post. I think there is a time in our adult lives when we get to the realization that we are not going to be as spry as we once were. Things were going to take longer. Going up stairs, for example. No more two at a time. No longer ignoring the handrail. Even something as simple as getting out of a chair requires a little more planning than before. The physical part of aging is, like it or not, unavoidable. I have been following the sad story of Linda Ronstadt. She has been diagnosed with Parkinson’s disease. Her ability to sing was taken away a couple of years ago. She has trouble getting around. She is 67. As Howard Kaylan points out, people in the music business don’t have retirement plans. In the case of Linda, she didn’t write songs. She sang and made famous songs by writers who get royalties from them everytime they are played or whenever a CD of hers is sold. If you are a singer, you wind up going out on concert tours to make your money. Howard does oldies tours with his partner Mark Volman and an array of other sixties acts every summer. You see a lot of people touring and this is why. Gotta pay the rent. I am sure a lot of the acts do it because they love singing and they have reached a time in their lives where the quest for a No. ! record is just a faded memory. Linda has written a book called “Simple Dreams”. I haven’t read it yet but I am looking forward to having a little time to do just that. Her music floats through the timeline of my life. She sang with such power, sweetness and grace. She sang everything. When I heard about her condition that news coincided with my Dad’s passing. As his funeral approached, I found myself on YouTube playing Linda’s music. Her songs were with me through the whole week. In a recent interview she said she doesn’t have any regrets. You just take life as it comes. The hardest part of getting older might be looking back instead of looking forward. What was left undone? Did you live to your full potential as the nuns in grade school always asked? I think doing that robs you of what is still ahead. Don’t look back. Well…maybe glance back once in a while. Instead, you should perhaps look forward. See what challenges or opportunities are within reach and grab for them. By a certain point in your life the fear of failure shouldn’t be daunting. That’s just part of life. You have already experienced it and you are still here. That last paragraph was part advice to anyone reading this and part pep talk to myself. That’s all for now, kids.